Contact Euromedics Swiss AG and request the sending of the Collection Kit at +41 43 818 5353 or local telephone depending on the country you live. Alternatively you can let us know that you want to speak with a salesperson or you can send us an email to [email protected] or you can even order the kit by filling out the form directly by our website. In fact you can make the whole contract from our website. Sign it and send the contract to Euromedics Swiss either by mail or by post office. After you have completed the documents and before delivery, you will receive our collection kit enabling your physician or midwife to collect the umbilical cord blood and/or cord tissue. Make sure that you take it with you to the delivery clinic and inform the medical staff of your chosen service. Contact Euromedics Swiss AG if you need any support. 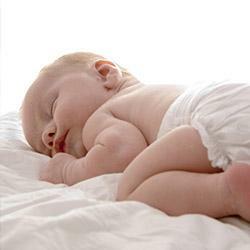 The physician or midwife, collects the umbilical cord blood and/or cord tissue after the safe delivery of your baby. He places the samples in the collection box seals it and completes the necessary identification forms. This whole process is completely safe for you and your baby because it does not affect the birth process at all. 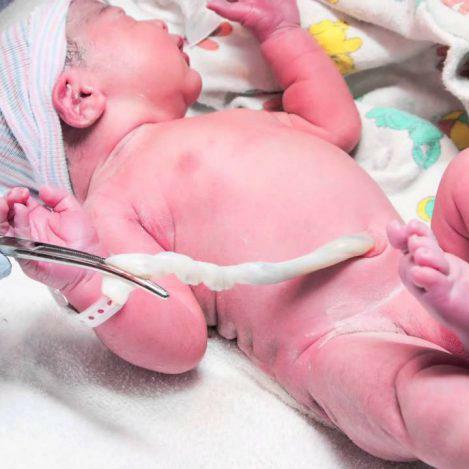 It starts after the birth and it only takes a few minutes. Your samples are now ready for shipment. After the whole process has been finished contact Euromedics Swiss in our international phone number +41 43 818 5353 or in our local numbers according to your country. 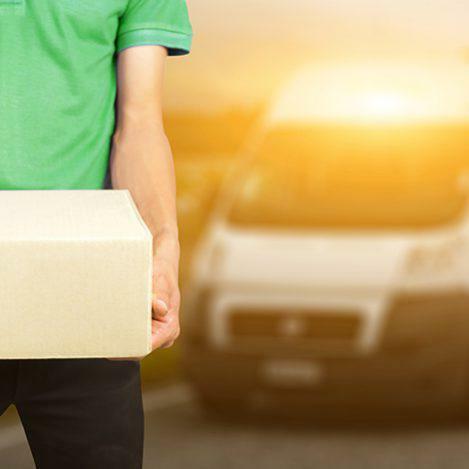 The sample will be collected by a certified international courier service and immediately taken to our processing laboratories. When the samples arrive in our laboratories they are processed using a fully automated system with no risk of contamination. All samples are tested, and, following successful results, prepared for storage. All samples are stored following International Protocols. In a period of six weeks the most you receive the information of the processing results and the storage status of your sample. 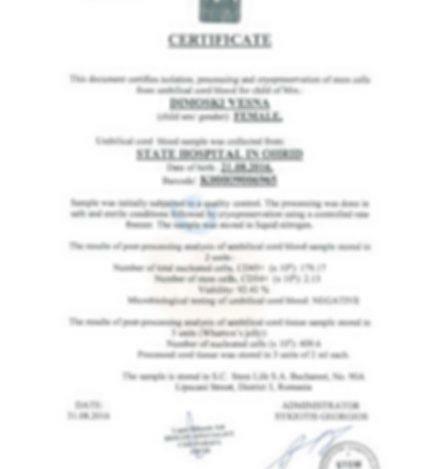 Also a Certificate will be issued with a unique number corresponding to your baby’s stem cells. In case you need them for medical treatment, the stemcells will be available for release at any time. Also these results and the certificate will be appointed on your personal account in our website where you can have all the valuable information for you and your baby. 2. transportation of the cells at any transplant center . 3. the container for the transportation of the cells (DRY SHIPPER) in free loan. THE FUTURE EUROMEDICS SWISS provides the possibility to extend the duration of storage within the contract, without having to renegotiate the terms. At the end of 20 years of conservation, where the utility is scientifically proven, it will be possible to extend the contract period, continuing to pay the annual fee of cryopreservation. In this case the customer has the obligation to inform the company at least a month before the end of the contract. 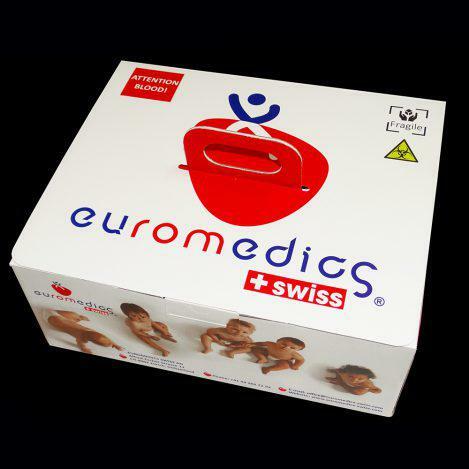 ASSISTANCE EUROMEDICS SWISS follows the parents in the procedure required to obtain from the Ministry of Health the Authorization to export the cells and for all subsequent phases, from collection to preservation. We follow all the procedures and paperwork and relese the sample to the hospital that is prearranged. The laboratories owned by EUROMEDICS SWISS AG stemcell bank are provided with high technology equipments. All processing stages are carried out in sterile conditions, in clean rooms, in compliance with ISO 9001:2008. In addition to this our company has GMP accreditation and is in the process of getting ΑΑΒΒ Accreditation. All these Accreditations guarantee excellence in quality, highest security, many levels of control and continuous improvement of the procedures. The laboratory’s medical staff uses single-use sterile protection equipment. In EUROMEDICS SWISS AG laboratories, the stem cells are separated from the other components of the umbilical blood by means of state-of-the-art separating devices. Samples are handled in special areas equipped with laminar flow hoods, guaranteeing maximum protection against infectious external agents. The microbiological inspection of samples is made by blood cultures in BactALERT automatic system. 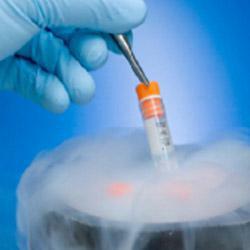 Stemcells are cryogenized by gradual freezing devices such as ICE CUBE provided by SY-LAB. Samples are stored in storage tanks based on nitrogen vapors. The temperature in the storage tank and the ambient temperature are monitored automatically, the same as pressure and humidity, and the information may be accessed by our specialized staff online at any time. The security and supervision system is made of video cameras and fire and flood detection sensors. The entire electrical and electronic equipment is supported by high-power UPS. It contributes to the ongoing and uninterrupted operation of all the activities carried out in the stem cell bank.